Thanksgiving Cactus (Schlumbergera) is a perennial houseplant that blooms every fall. If you think you might like to grow one, they are fairly simple to grow and make for a wonderful centerpiece for your holiday table. In order to grow Schlumbergera, plant it in a well-drained soil mix and place the pot in a window that gets a lot of light. The cactus needs to be in a room where the temperatures are at least 70 degrees. Water the plant about once or so every week. If the leaves look a little dry, then that is a sign that it needs watering. Once the plant begins to grow, you will notice the stems first. In the beginning they grow straight up. Then once they reach a certain height the stems begin to arch. As the stems grow longer they begin to branch out also. The leaves on this cactus are a nice lush green color and have tooth-like edges. The edges of the leaves look sharp and pointy like teeth. Once the flowers begin to grow, they are very light and dainty looking. They come in colors like pink, red, and white. The flowers only last for a short time, but the plant itself sets so many buds that it can continue to bloom more flowers again and again. 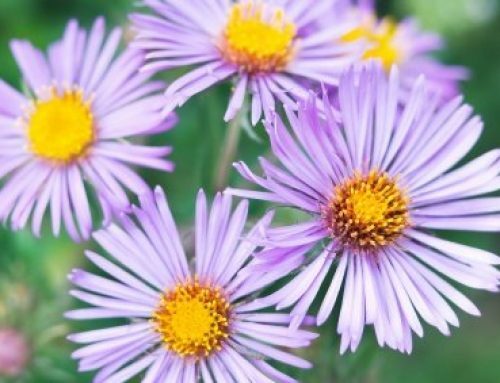 While the flowers grow in the fall, this plant can last all throughout the year. In the summer place the plant outdoors and it can live outdoors until the first few cool nights in fall. When the weather gets cool at night, it is time to bring the plant back indoors. The plant will grow in the fall through to the spring. Then in the winter the plant will stop growing for a brief period. When it stops its growth in the winter, water the plant when the leaves begin to look like they are dying. If they look withered, water the plant. Then in the summer to fall months begin to water the plant more regularly so it will start to bud.